Although a few commonly-kept finches dominate the pet trade, an amazing range of unusual species are available. Many are delicate and rarely seen, but quite a few are just as hardy as the ever-popular Zebra Finch. Today I’d like to introduce some of my favorite less-commonly-kept finches, each of which is special in its own way – the Red Avadavat, Gray-Headed Silverbill and the Star, Masked and Spice Finches. 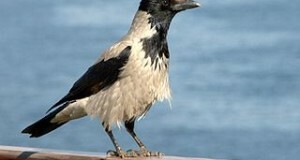 All are hardy, breed well, and may be housed in large indoor cages or outdoor aviaries. I’ll cover husbandry details in future articles; until then, please write in with any questions. An olive-green body topped by a white-speckled, vermillion head and a thick, bright red bill grant this Australian beauty a most striking appearance. Somewhat shy and very peaceful, the Star Finch does well in small groups and mixed aviaries, even during the breeding season. The Star Finch belongs to a group commonly known as the Australian Grassfinches. It is native to Northern Australia, where it frequents wooded savannas, rice fields and cane plantations. Much of its time spent foraging on the ground, often in the company of Crimson Finches. Star Finches are reliable breeders, and may produce up to 3 clutches each year. However, parents have the unsettling habit of tossing their chicks from the nest if the food offered is not to their liking. Therefore, be sure to provide breeding pairs with a wide assortment of live and canned insects, egg food and bits of hard-boiled egg. Also known as the Pearl-Headed Silverbill, this African native possesses a subtle beauty resulting from the blending of pink-tinged brown and several shades of gray. Small white or silver spots mark the head, and the wings are jet black. They inhabit dry thorn scrub and brushy grasslands from southern Ethiopia to Tanzania. Grey-Headed Silverbills are an ideal choice to those new to finch-breeding. Unlike most finches, pairs are quite calm when brooding, and will even allow careful nest inspections. They get along well in groups and can be kept with other peaceful finches. Silverbills are somewhat fussy when it comes to mate selection, so the best breeding strategy is to house a group of 6 or so together and watch for naturally-forming pairs. The jet black mask of this stocky, 5-inch-long finch makes it seem something of an “avian raccoon”. Certainly it is one of the most distinctive of all cage birds, especially as the dark mask is just above a thick, brilliant yellow bill. White and fawn color morphs have been produced, but are not often offered for sale. Hailing from Northern Australia, Masked Finches are found in thorn brush, grassy scrub, parks and gardens, always within daily flying distance of water. Masked Finches are sociable and do well in groups, but can be quite noisy. These qualities, and their high activity levels, suit them well to outdoor aviaries. They construct a covered, intricately-weaved nest, which is usually located within 3 feet of the ground. Interestingly, the female does not usually lay her first egg until 2-3 weeks after entering the nest. Masked Finches are known to add bits of charcoal to their nest, perhaps in an effort to control humidity levels. Many breeders report that they will not lay unless provided with charcoal. Also known as the Scaly-Breasted Munia, the Spice Finch stands out it any mixed aviary due to its unusual markings. A chocolate-brown breast sprinkled with white, dark-edged feathers gives this Asian import a most distinctive flair. Add to this a trusting nature and hardy constitution, and you can see why the Spice Finch has long been a favorite pet wherever it occurs. Spice Finches adapt well to cage life, as they are very steady in demeanor and even willing, in time, to feed from the hand. Males sing so quietly that the song may go unnoticed if one did not observe their “singing posture” – another plus if you keep your birds indoors and do not like to rise at 5AM! Their huge range extends from India and Sri Lanka through much of southern China and Southeast Asia all the way to the Philippines. If acclimated properly, Spice Finches are quite cold-hearty and may be wintered outdoors even in fairly temperate regions. This 4-inch-long ball of energy is much beloved by finch aficionados worldwide, and with good reason – the fiery red plumage of mature males is rivaled by few birds. It is also far simpler to keep and breed than such relatives as the Green Avadavat, and males give forth a very pleasant song each spring. Strawberry Finches generally live near water, but they range widely and often visit parks, gardens and farms. They are found from India and Pakistan east and south through southern China and Southeast Asia to Indonesia. The Strawberry Finch is one of the few cage birds to exhibit eclipse plumage – that is to say, the male molts after the breeding season and resembles his somewhat drab mate for a time (but fear not, the red feathers’ return is worth waiting for!). Unfortunately, the depth of the feather color sometimes fades in captivity. This is particularly common among birds housed indoors, but may also be related to diet. Please see the article below for tips on maintaining your finch’s color. Is there some creature on this planet you did not dealt with…!!! Surely you should know all the guys like David Attenborough etc. You guys are belonging to my list of Heroes!!! Nice to hear from you again. Thanks so much for the compliment, but I shouldn’t be put in the same class as David Attenborough! He is one of my heroes as well – what a life he’s had. As a young man, he documented the Adams’ efforts with lions, which led to the Born Free saga and so on, and expanded from there. I met him but did not have the chance to spend too much time. I did get to work with many notables, and even hunted snakes with the legendary Rhom Whittaker, which was an amazing experience. You and your sons seem cut from the same cloth – birds, spiders, scorpions and more, I’m sure, hold your interest. I was lucky to work in zoos at a time when it was possible to get a wide range of experiences; I worked in all the Bronx zoo’ buildings with creatures ranging from tiny insects to elephants; today most folks specialize and it’s difficult for generalists to find a place. Great site with some amazing pics and info this blog will defo be added to my favorites. Keep up the good work. Hello Stan, Frank Indiviglio here. Thanks for the kind words; much appreciated; would enjoy having your comments on articles when time allows. its outdoor, its planted, and its protected from rain! Also, my canary is tamed, would she be able to maybe teach them to trust their human caretaker? Is it true that taming is easier in aviary? And one important thing: would any fights occur between canaries and finches? Thanks for your interesting post. 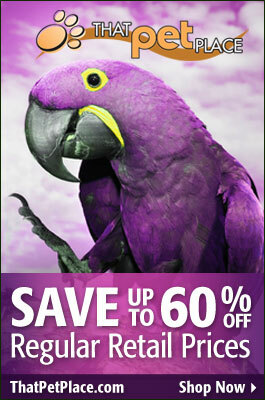 Great to hear that you have an outdoor aviary planned…you have much of interest in store. Mixing species is well-worth the effort, although some experimentation is necessary, and results will vary with individual bird personalities, size and set-up of the aviary, etc. 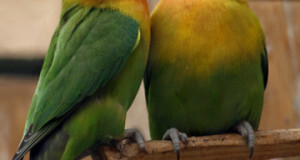 The species mentioned in the article can be kept with canaries. There are others as well, please let me know if you have any in mind. It’s often difficult to control insects with predators, but specifics vary. Most of the finches mentioned in the article do favor insects. Button Quails also, they get along well with finches, but tend to catch only ground-dwelling insects; but very effective as to those; please see this article. Taming is often easier in an aviary, as canaries and finches tend to become stressed when approached in small cages. Eventually, they will come to your hand for treats in an aviary…please see this article for details. Fights/squabbles are inevitable, but with care re selection of species and aviary design, most will be limited to minor disputes; but you’ll need to observe carefully, and have isolation cages ready, especially during the breeding season. 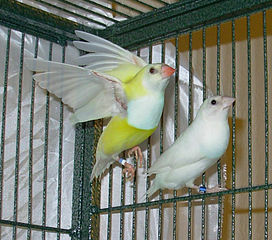 Male canaries will fight with one another as well. Please send along some details as to size, layout, plants if any, location etc., and I’ll provide more specific info. I’ve sent you an email with my aviary plan attached. Need your advice, thanks so much! Thanks for sending along your aviary plans. Design looks fine in principal, but you may wish to consult a book that goes into actual construction details – barriers for burrowing rodents and predators, drainage, waterproofing, etc. Tony Tilford’s Handbook of Cage and Aviary Birds has a chapter on the subject, others available as well. Also, check for a good local avian vet, as gapeworm and other parasites will be more commonly encountered outdoors; preventive medications are sometimes used. Be sure to have extra cages on hand, to deal with aggression. Zebra finches get along with canaries, but they often disturb nesting pairs by stealing nest materials and even laying eggs within the nests of other species. Arrange to place youngsters as well, as they can be very prolific. Hand-taming will depend, to an extent, on the individual bird, but well-worth trying. Be sure to research the toxicity of various plants that the rabbit may be able to reach. thanks for the reply Frank! I think I’m not letting my rabbit stay there for a long time, maybe only in the cool morning or night. I’ve checked the plants through various websites, and they’re definitely non toxic since mentioned in all those sources. what do you mean “arrange youngsters as they are prolific”? one other thing: if i don’t provide the nest or nesting material, they won’t breed right? Thanks for the feedback; my pleasure. Sorry, that was a typo. I had meant to say that it would be a good idea plan ahead with regard to placing zebra finch offspring. They usually find a way to nest, especially outdoors, even if denied materials and suitable locations…food bowls, the center of a grass clump, etc. Thanks so much for the reply, Frank! Okay, so how about if I don’t put in zebra finch, instead replace them with strawberry finch? Will they annoy the canaries? And… one more question: do canaries mate for life? Does any finches ever stay with their partner forever? Since I don’t separate my birds in the aviary, do they have a way to prevent this? There’s always a chance of interference and aggression when you mix species, or have multiple pairs of the same species. Ample space and heavy planting helps, but mixed aviaries require lots of supervision. Hard to predict as well. I once kept a group of laughing jay thrushes together for years without problems (Bx Zoo). One day an adjoining cage became vacant so I gave them access; next morning 2 were dead. The extra space sparked territorial behavior (same happened with Cuban Crocodiles). Birds may get along until the breeding season; hormonal changes often spark aggression towards owners by parrots; same happens in finches. Best to start slowly, and be prepared to remove problem birds. With holding nesting material may be more effective with canaries, but when outdoors they are stimulated by natural weather/light patterns, and can usually find a nest site in a large aviary. Hormonal changes will occur even absent nest sites. None mate for life as far as we know; in fact many species are being found to “cheat” in order to assure favorable genes or a constant source of food; please see this article on Gouldian finches for an example. Canaries and many finches do interbreed; if far removed taxonomically, young may not be fertile. Please see this article on canary-siskin crosses. All interesting points, and useful for readers, so don’t worry.